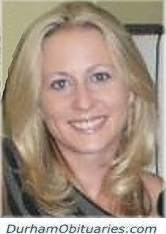 Joanne is survived by her loving husband Michael of 46 and their three children, daughters Shannon (Rudy), Robyn (Ryan) and son Matthew (Amanda). BOYD, Kyle - At the age of 27, Kyle passed away peacefully at Lakeridge Health Oshawa on Tuesday, April 16, 2019. Beloved by all, Kyle had a smile that could light up any room. Although Kyle’s life was cut short and had its struggles, he never complained and did accomplish so much. He was a proud website designer of Durham Adapt. 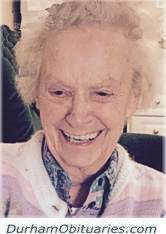 MORAND, Joan Gale - Peacefully at Hillsdale Estates on Monday, April 15th, 2019. Joan, at the age of 77. 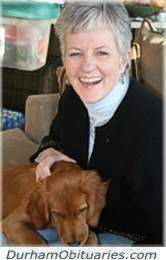 Beloved wife of the late Victor Morand. 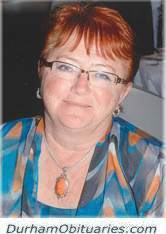 Loving mother of Jennifer Wiebe and husband Jim, Lawrence Morand and wife Airiel, Christopher Morand and girlfriend Rachel, and Glen Morand. Dear grandmother of Barbara, Jay, Laura, Philip, Lorna and Joshua. 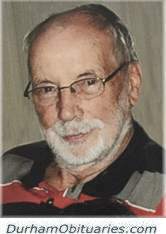 ROSS, Brian Maurice Ross - Peacefully, on Monday, April 15, 2019, at the Lakeridge Health Center in Port Perry, at age 72. Brian Ross, beloved husband of Réjane (nee Coté). Loved father of Barbara Harvel (Glenn) and Chantale Ross. Dear mother of Robert (Brenda) Minto and Sharon (Jack Goldsmith). On April 15th as a result of pancreatic cancer. John is survived by his wife Elaine (Edgley), daughters Holly and Rachel, step-daughter Meaghan (Matt) and grandchildren Logan, Adrianna, Elliott, and Cayden. Passed away peacefully on Monday, April 15th in his 86th year. Predeceased by his wife Joan (2010). 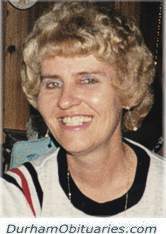 CHANDLER, George Alfred - (R.C.A.F. Officer WW II) - born in New York State, December 12, 1921, died in Beaverton, April 15, 2019 peacefully at home. Husband, Father, Grandfather and Friend. George Chandler was the beloved husband, for over 70 years, of the late Nancy (Hancock) Chandler. 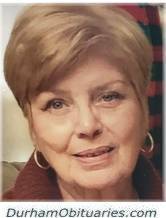 ANTONIO, Ester (nee SERVIDA) - Passed away surrounded by loved ones on Monday, April 15, 2019 in the comfort of her home 3 days after her 78th birthday. Ester was a loving wife to her husband Alejandro for almost 55 years, beloved mother to their six daughters Chevy (Ardeshir Arvandi), Belinda (Edgar Tojino), Mailani (Daniel McVicker), Yolanda (Darwin Oba), Minda, and May (Paul Bugeia). Bernhard (Bernie), 82, entered every room with a kind word and mischievous twinkle in his eye. Known for his giving spirit, quick wit, good conversation, proud German roots, love of European soccer and Bayern Munich, Formula One racing, Excel Spreadsheets and above-all else family. The loss of this incredible man is felt most deeply by his wife Janet of 54 years, his children Douglas (Leanne), Sue-Ann (Steve), Nicole (Rob), Jay (Sandy) and Joy. Peacefully with family at his side on Monday, April 15, 2019 at Lakeridge Health Bowmanville in his 56th year. Joe, beloved husband for 15 years of Cindy Scott. Much loved father of Zach Horvath and step father of Melissa and Sean. On Saturday, April 15, 2019, Ashley lost her battle with addiction. She fought hard and was recently at rehabilitation, but the desire to use was stronger, her demons of addiction took everything - including her life. Ashley is the cherished daughter of Faye and Steve Smith. Loving sister of Mandi and Adam Smith.